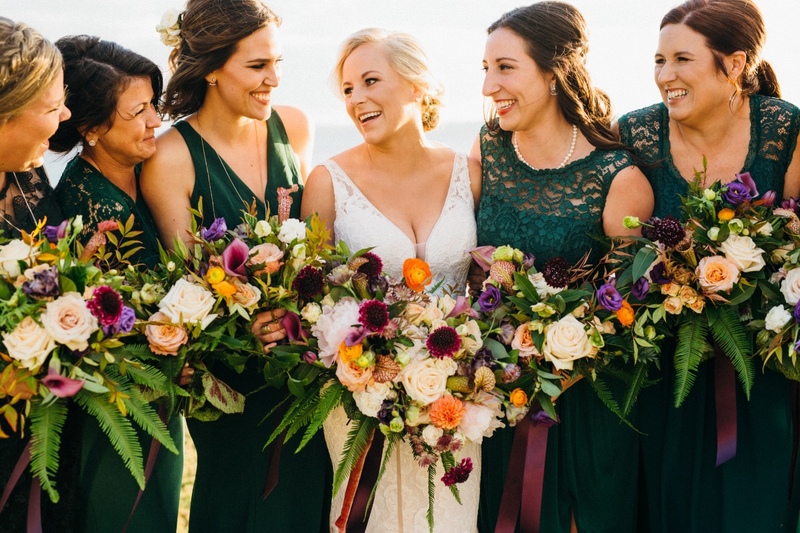 Shea and Chad showcased their love in style with rustic chic decor, eggplant + emerald hues, and fall fresh florals. 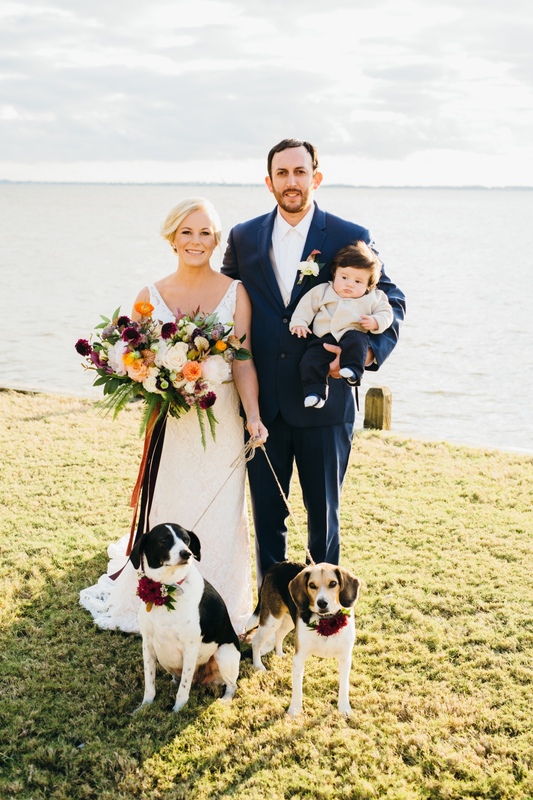 The couples adorable three-month-old son and their two dogs also shared in on all the fun, so keep scrolling to see it all below + in the full gallery captured by Sarah D'Ambra Photography. 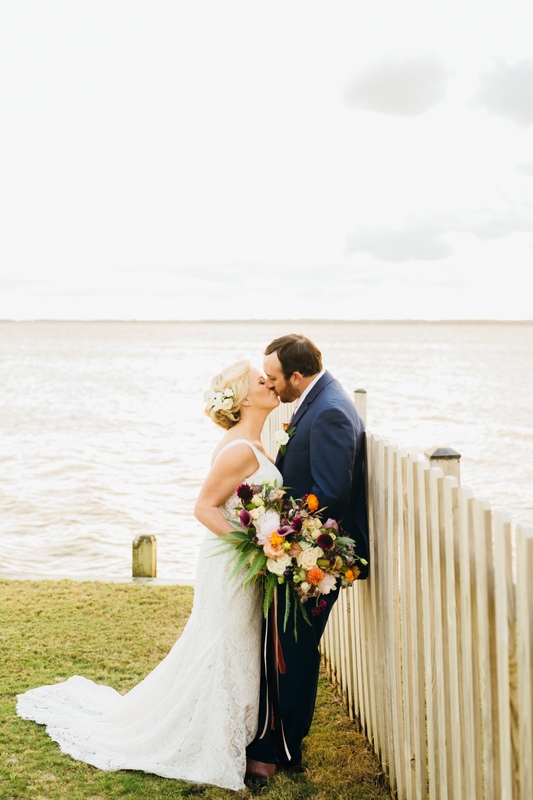 From Coastyle Weddings & Events: Shea and Chad's wedding took place at his family's waterfront home in a quaint neighborhood known as Nags Head Cove, Nags Head, North Carolina. 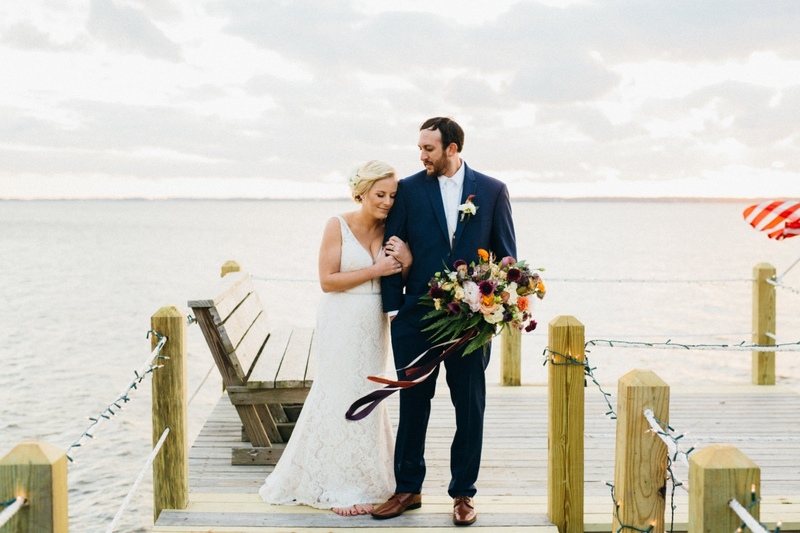 After their families house was washed away in a hurricane, the family rebuilt, and decided to purchase the home next door as well. 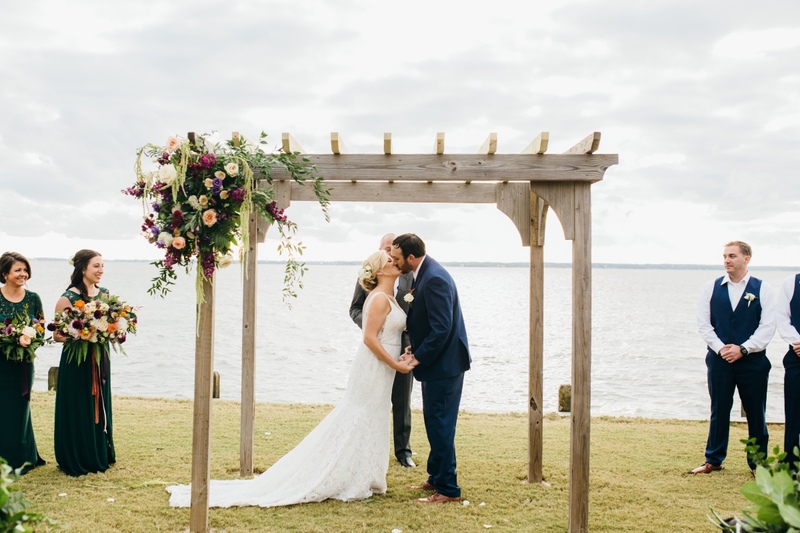 With both houses offering luscious green lawns and boasting water views, it was the perfect location for both the ceremony and the cocktail hour. 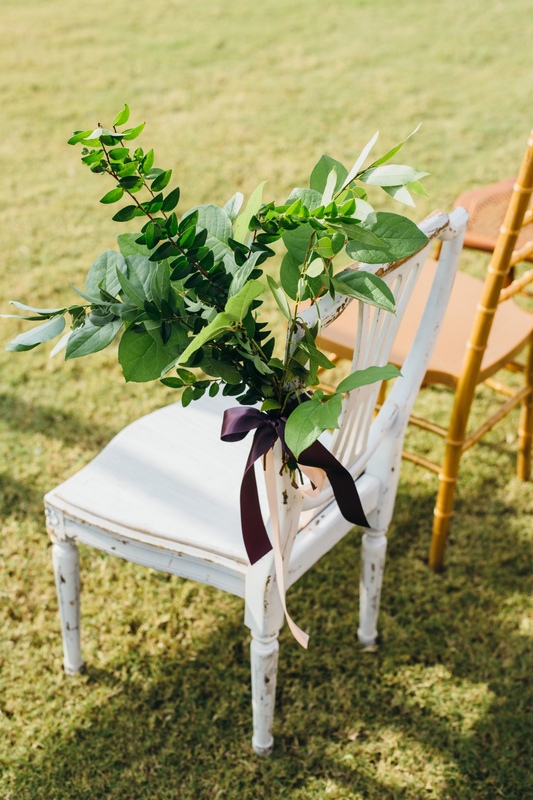 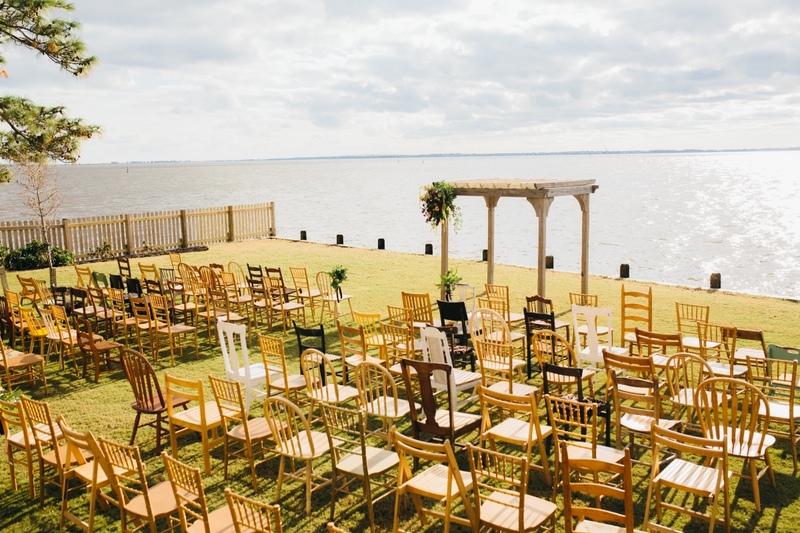 Just under 100 guests were welcomed to a yard full of mix-matched wooden chairs, with a handmade arbor built by the groom's dad. 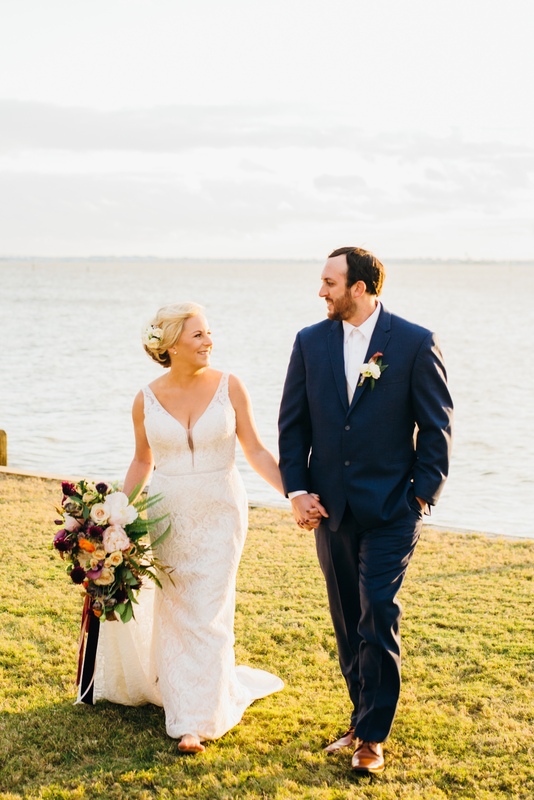 After a short heartfelt ceremony to include the couple's three-month-old son Henry, guests walked over to the other lawn for cocktail hour. 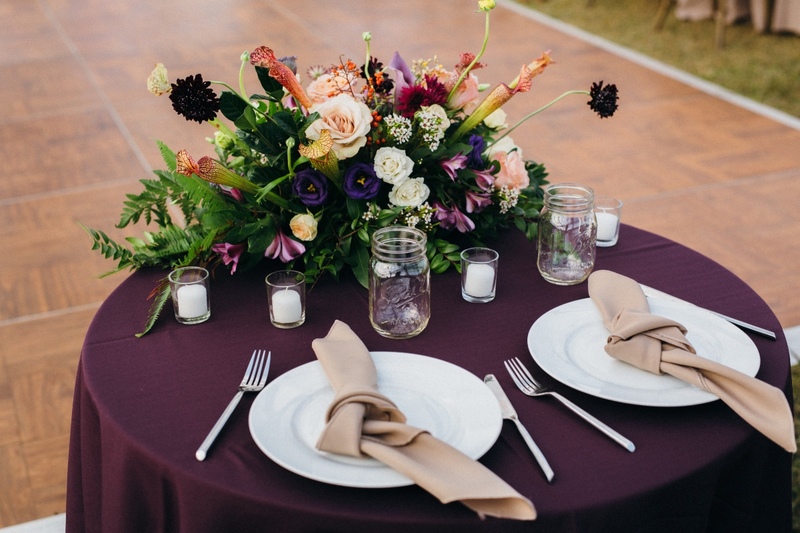 Acoustic music played while guests enjoyed appetizers and serve yourself cocktails from a boat cooler. 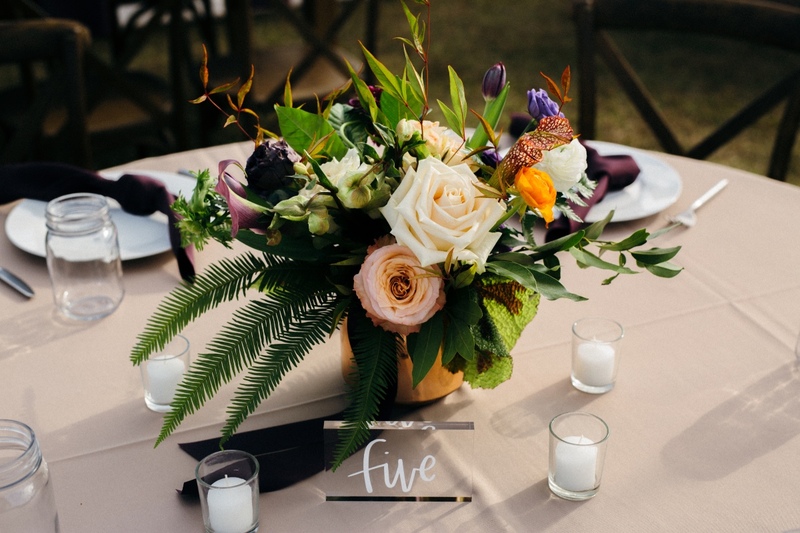 After cocktail hour, guests walked to the third location, the neighborhoods community center. 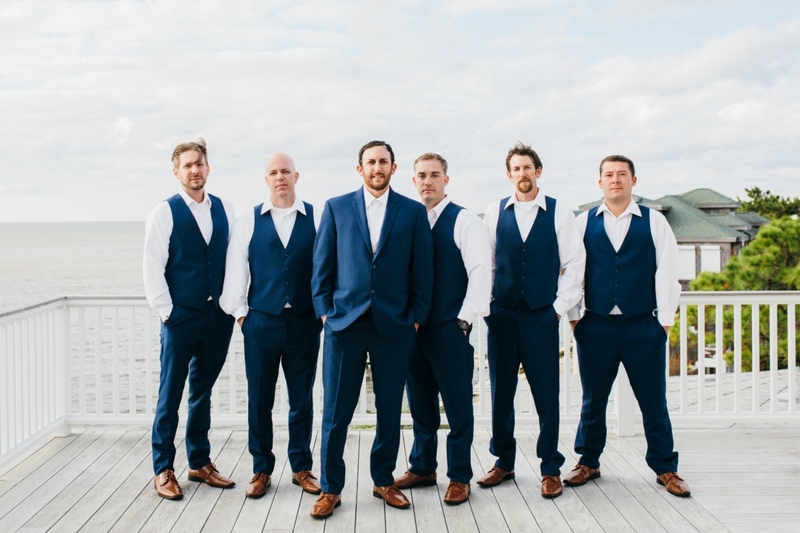 The reception would take place at yet another waterfront lawn, adorned with a beautiful clear tent with cafe lights strung above. 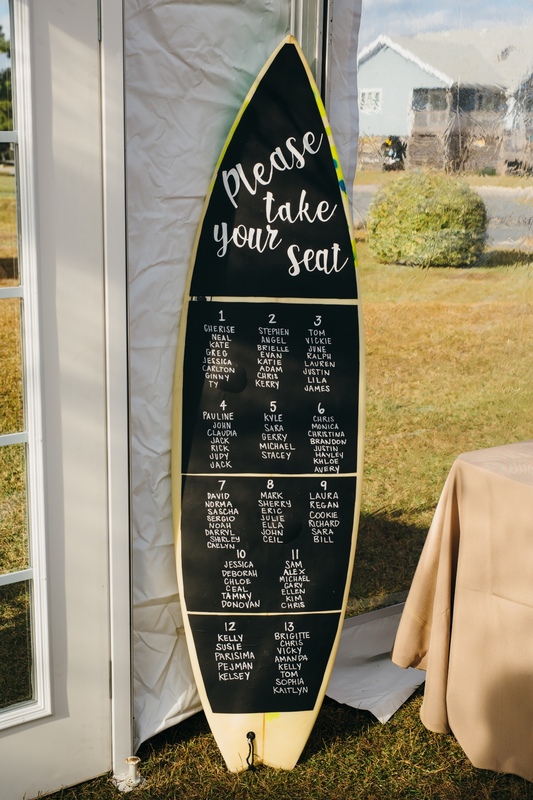 Guests could find their seats using the grooms' surfboard as a seating arrangement sign. 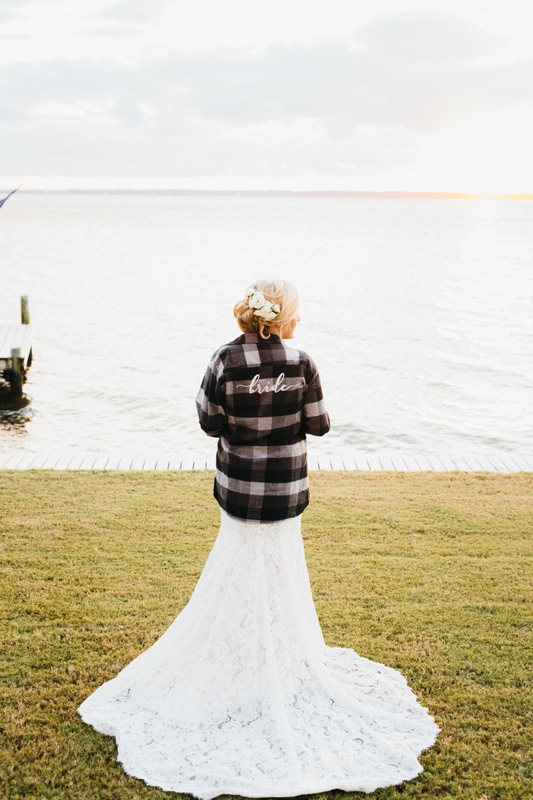 They could snap a Polaroid picture for the guestbook, take a candle as a favor, and grab a drink from the local tap truck parked outside the tent. 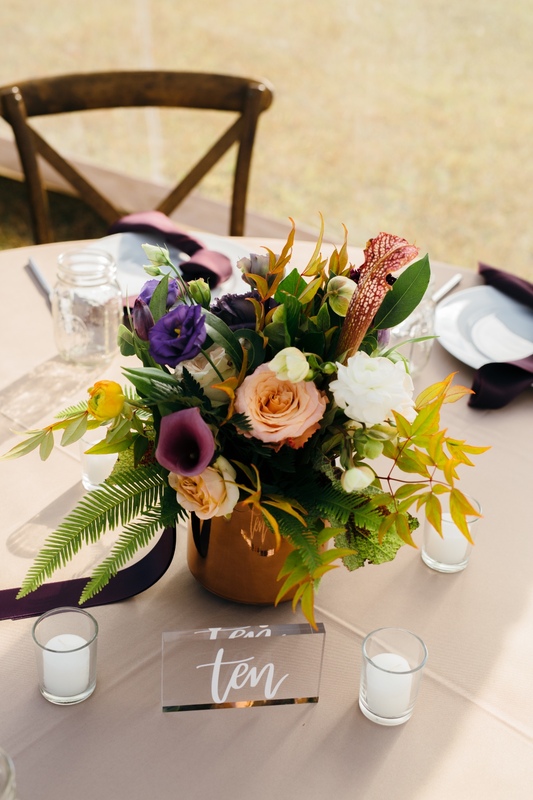 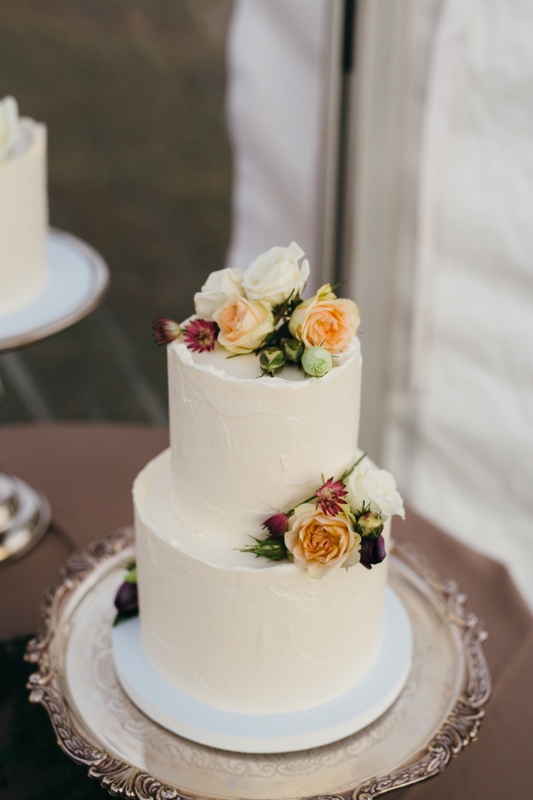 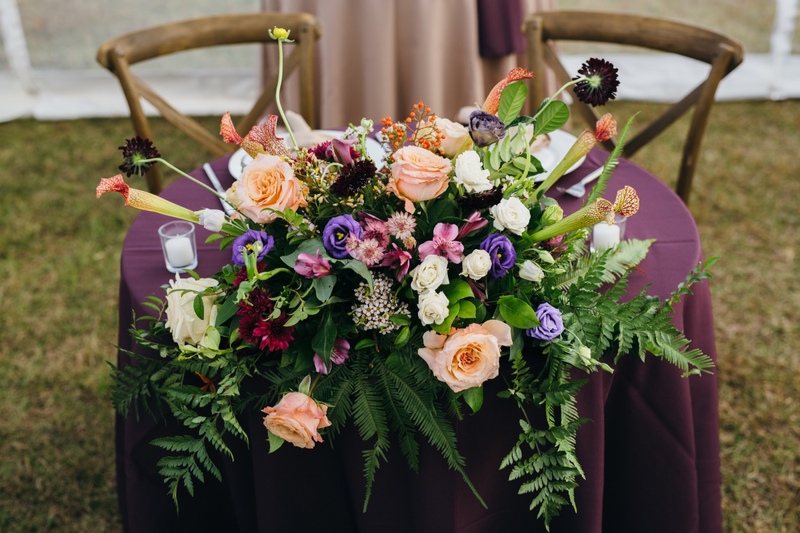 There was a mix of long wooden farm tables, and round tables dressed with cafe colored linens, eggplant-colored napkins, and luscious mixed florals and green runners. 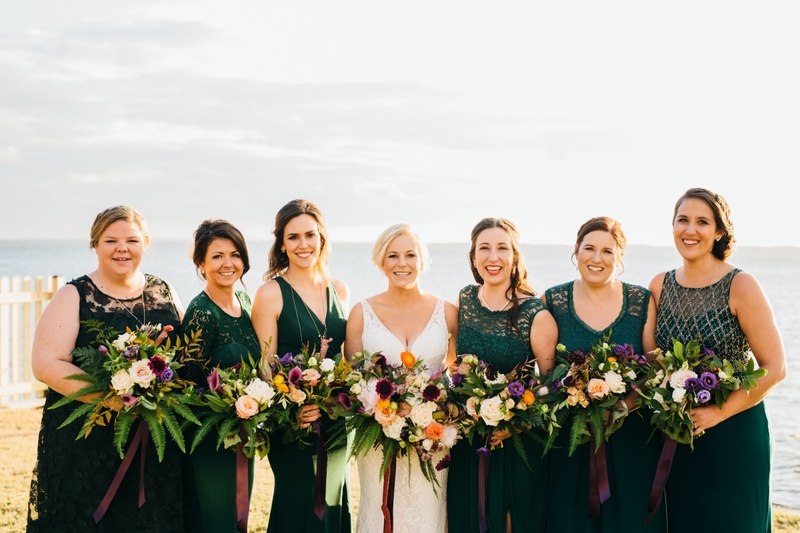 With the groom's sister marrying in the same location 10 years before, it was yet another family affair right at home. 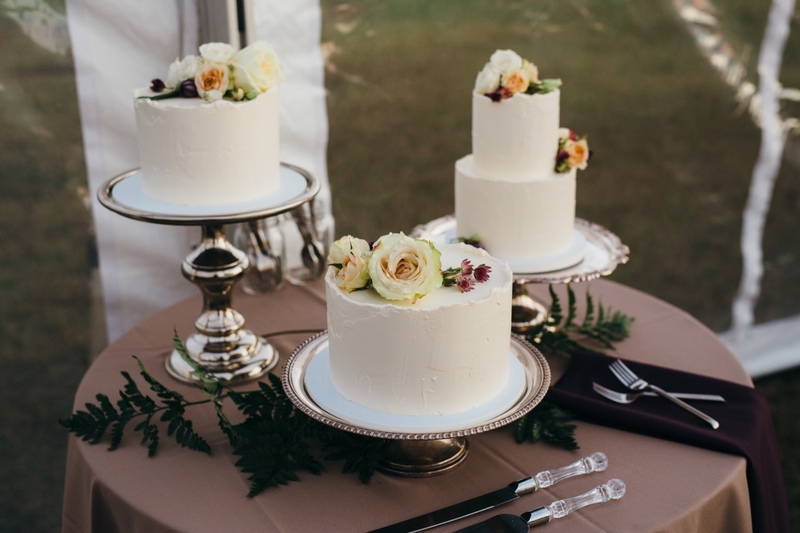 The crisp Fall evening was perfect for guests to cozy up, enjoying a warm buffet dinner, delicious cake, and tarts for dessert. 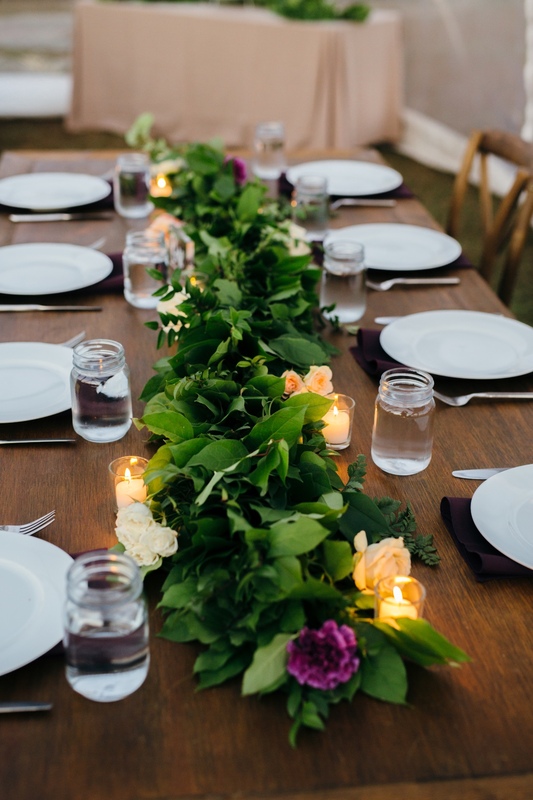 Everyone danced well into the evening. 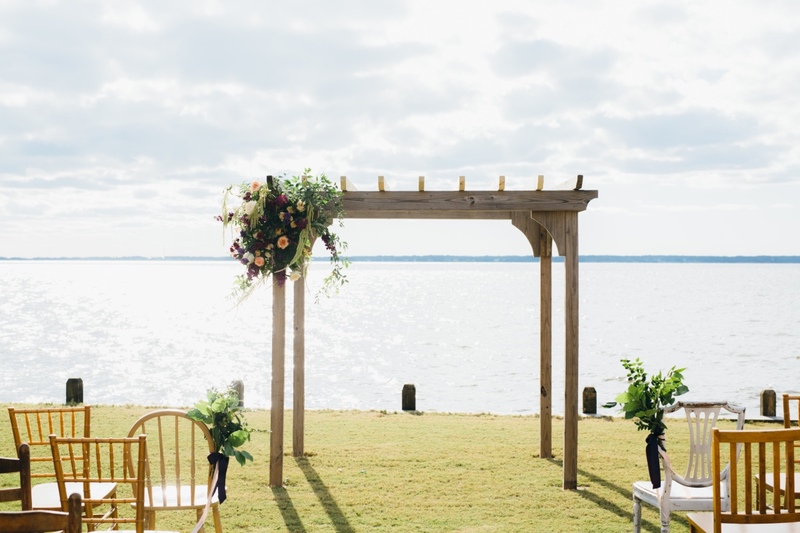 Curious what a backyard wedding like this may cost you? 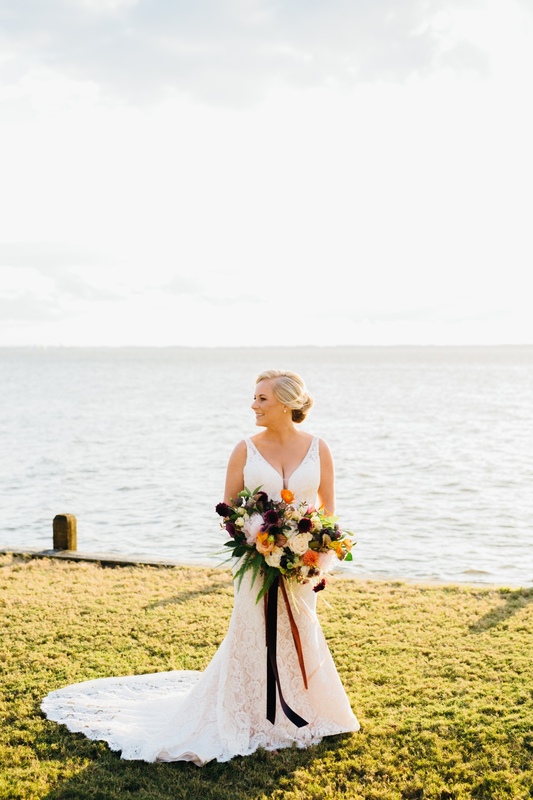 The bride was kind enough to share her budget breakdown with us below.